Well of course sauerkraut is not "home grown," it's prepared...more specifically it makes itself, you simply provide the proper conditions. I have made this, and other variations, many times but never with cabbage that I grew myself; it literally went from the dirt to the fermentation bucket in about 20 minutes...now a couple weeks to wait until it ripens (I added a few hot chilies to this batch...also, believe-it-or-not, still hanging from their plants yesterday). 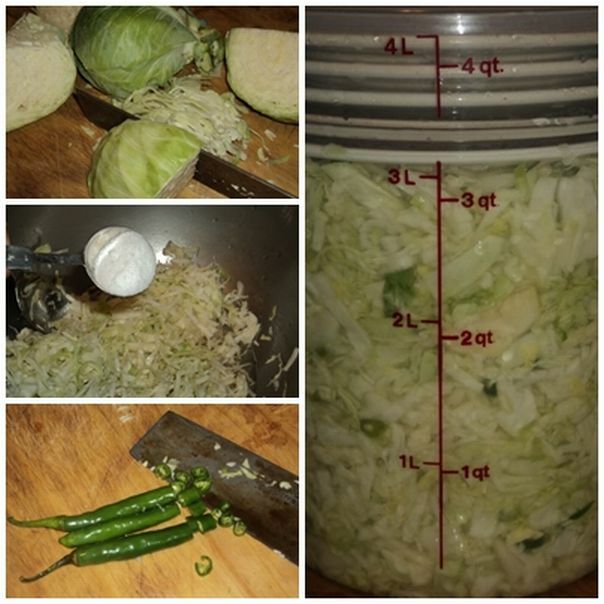 I've posted before on fermented foods--my acquired love for them and their health benefits--and to read more about them and for actual recipes (including one for the sauerkraut pictured) click here. If you've never made fermented vegetables--kraut or other--I encourage you to give it a try. Not only are they super delicious and healthy for your body (probiotic) they are exceedingly easy to prepare...as aforementioned, they make themselves, you simply provide the conditions for the "good bacteria" to grow. Click here for text and recipes. 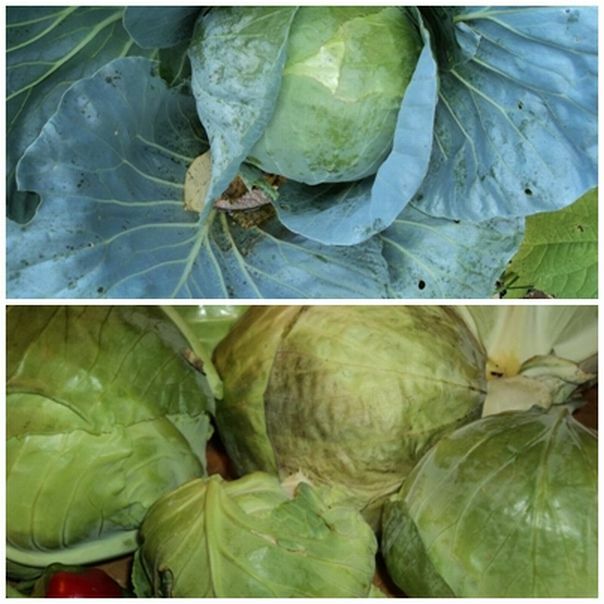 Beautiful capturing of the cabbage from your garden...especially the top photo.